The regulation is comparatively clear in its application to businesses using such data although it may prove problematic for those that engage in research and use old data; consent for which use can no longer be given, the use of 17th century ships’ logs for climate research is one of these examples. This grey area is still to be clarified. It seems fair to say that individual rights are strengthened within by this regulation – the official website for all information regarding GDPR has this to say regarding the intersection between business and individual rights. 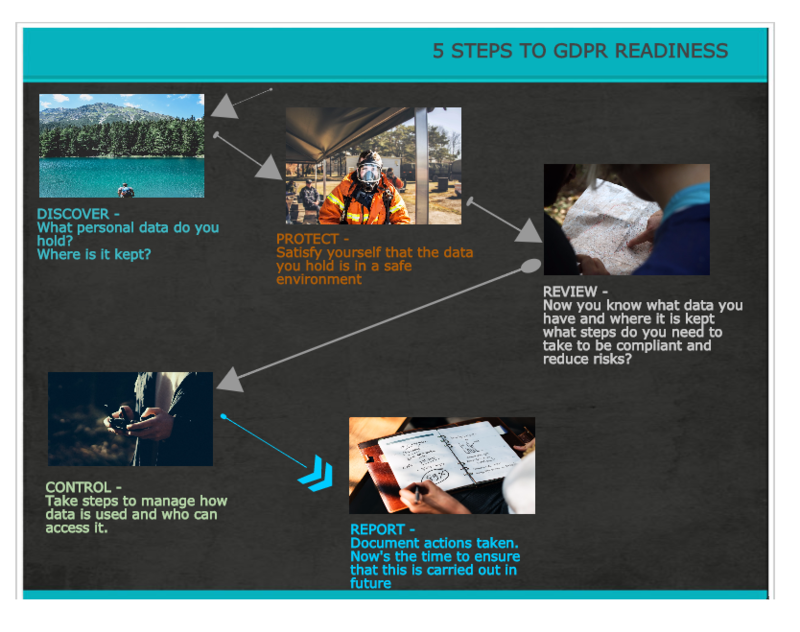 Microsoft identifies access to data as having a key part to play in enabling businesses to become GDPR compliant and in Dynamics 365 CRM (Cloud2020’s centre of interest) access to data is managed via Security Roles. Role-based securityin Microsoft Dynamics 365 allows you to group together a set of privileges that limit the tasks that can be performed by a given user. This is an important capability, especially when people change roles within an organization. Record-based securityin Dynamics 365 allows you to restrict access to specific records. Field-level securityin Dynamics 365 allows you to restrict access to specific high-impact fields, such as personally identifiable information. However, a CRM system is not just a sales but also a marketing tool, this is the place where vigilance and proactivity is required to take on board the regulations and understand the implications for your interactions with your customers. Luckily there are several ways that Dynamics 365 and the third party applications available for it can help you. “As many of you know, the General Data Protection Regulation (“GDPR”) will be effective May 2018. The GDPR regulates the collection, processing and use of personal data of EU individuals. We are currently working with a consultant to help us implement the necessary procedures to facilitate compliance in our role as a “data processor” under the GDPR. ClickDimensions customers are the data controllers. Neither the current EU Data Protection Directive (enacted in 1995) or the GDPR prohibit processing of data outside the EU; both legislative schemes require that certain commitments are made by the data processor (ClickDimensions). ClickDimensions is currently certified for the EU-US Privacy Shield and will be renewing this fall. We are becoming certified for the Swiss-US Privacy Shield as well. These certifications, like the EU Model Clauses, are related to data transfers and security. However, there are several ways that it is already able to help businesses seeking to ensure that they are adhering to best practice with regard to consent and record keeping of activity already in place in Click Dimensions. There is also the opportunity to use “Subscription Preferences” to ensure that there is a record of consent being given to be marketed to from existing and longstanding contacts. Ultimately though the main impact of the GDPR will be that it will require businesses to be vigilant about documenting consent given and actions taken upon receiving requests to unsubscribe or to “forget” data already given. So, what to do now? Proactivity is the way to ensure that businesses can acheive the target of making sure that sure that they start 2018 GDPR. Start with a Discovery, what personal data do you hold, where is it kept? Move to Protect it, and Review and Plan to Control the data in the future, finally Report by documenting your actions and your plan to make sure that compliance is easy to maintain in the future.